Students in grades 3 through 6 painted rocks after hearing the book Only One You by Linda Kranz. Each rock shows the student's individuality. The rocks will be cemented into a rock garden later this school year. 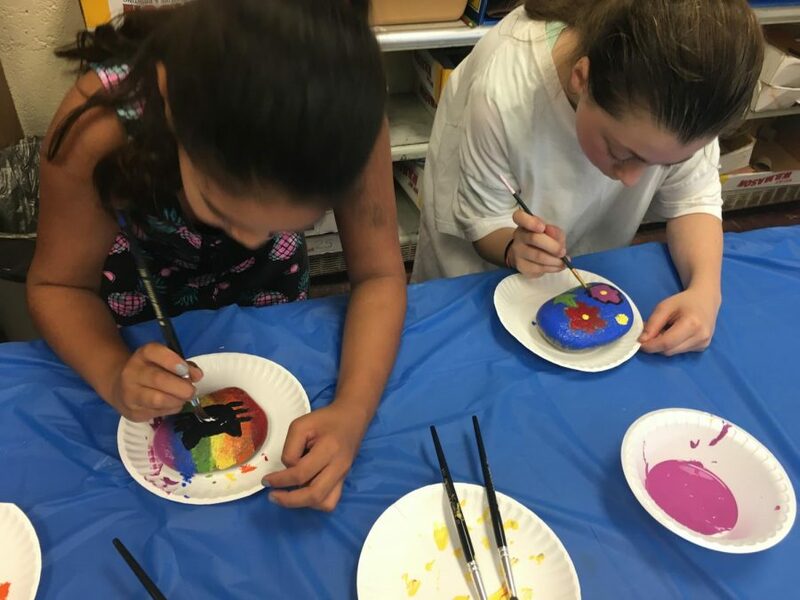 A special school wide assembly on May 17 introduced students at Patrick M. Villano School to a new way of showing kindness through rock painting. Students heard the book Only One You by Linda Kranz. The book focuses on the importance of one’s individuality and being kind to others no matter what their differences. The book inspired one of the school’s speech teachers, Linda Giovanni, to bring those ideas to life through a special rock painting program. Giovanni then read the book and saw that it promotes individuality and kindness. “… each one of us is special and unique, and it gave me an idea of how maybe we can do that at Villano School,” Giovanni said. Giovanni and art teacher Wanda Lev helped each of the school’s students paint a rock to show their individuality. Those rocks will be cemented into a rock garden on the school’s ground. Now, the students will have a visual reminder to always be kind to one another. During the school assembly, some teachers shared a personal experience where kindness mattered. “Kindness cycles and goes around comes around,” 6th grade Social Studies teacher Nicole Ferrante said. Ferrante shared a story about her 8th grade experience in her own middle schoo Social Studies class. “I had an amazing Social Studies teacher, and she inspired me to be a Social Studies teacher. So when I was in college, I had to write an essay about a teacher who inspired me to become a teacher, so I wrote about her. When I sent it to my mom to proofread, she liked it so much, she sent it to my eighth grade teacher, and about a year later, my teacher sent me a letter back saying how much she appreciated my letter and it how it made her so happy,” Ferrante said. Fifth grade math teacher, Elisabeth Hill, talked about how a fifth grade student multi-tasked using kindness. She related a story about how some students helped a peer who was cleaning a water spill in the hallway during the switch of classes. The idea is that such acts of kindness be remembered through the rock garden which is expcted to be completed later this year.